I Think I Will Run Today: Spring, Is That You? Lately, I've been feeling drained thanks to a recent bout of insomnia and an unusually busy schedule. It is no secret that I've been a little stressed and not feeling all that great. My workouts have been hit or miss, sleep is pretty much non existent, and it is taking every ounce of will power I have not to breakdown and buy all of the Easter candy and devour it in one sitting. 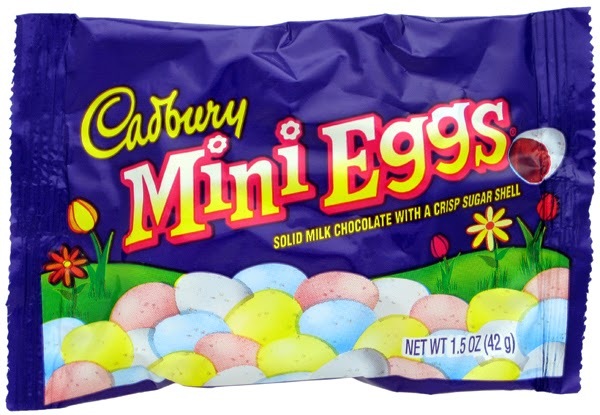 The siren song of Cadbury Mini Eggs is very real. All that being said, the weather has taken a turn for the better. It has been absolutely beautiful outside all week! The sun has reappeared, warming the city and the hearts of its inhabitants. Everyone is walking around with a smile on their face. It is pretty incredible. The warmer weather means that I'm able to run outside instead of on the treadmill at the gym, which has made a world of difference. I actually look forward to my runs again! I'm still at the gym several times a week for cross training, but running outside has made me hate the world a little less. Last night, I didn't even need a jacket during my run. It was magical.